Apple laid months of event rumors and speculation to rest on Tuesday when it sent out official invitations to a special media presentation on September 12. Of course, now that we know for sure that an event is happening, the real speculation begins. A new iPhone is likely, based on reading the invitation’s tea leaves—or, in this case, by interpreting the imagery Apple put on its invites. But what else might Apple have in store when company executives take the stage at San Francisco’s Yerba Buena Center for the Arts Theater? We look at the most likely possibilities and the pie-in-the-sky suggestions. 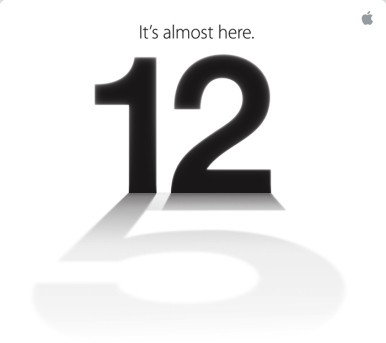 Apple’s event image features the cheeky, teasing tagline “It’s almost here,” with the shadow of a 5 lurking below a large bolded 12. So yes, it’s likely we’ll see the successor to the iPhone 4S make its official debut. Though many speculated that the iPhone might adopt the naming scheme of its iPad sibling and simply be introduced as “the new iPhone”—after all, the iPhone 4S was technically Apple’s fifth-generation phone—the invitation implies otherwise. So it certainly looks as though we might stick with the number monikers for another generation. LTE: As for the device itself, rumors have pegged it as potentially thinner, lighter, and packed with 4G/LTE connectivity. While Apple already touts its networking speeds as 4G on its existing iPhones (thanks to a software update), the truth is that even the fastest of the iPhone’s wireless connectivity is still largely under the aegis of “3G.” LTE, which is currently being deployed in many markets by wireless carriers, is likely to offer a much more noticeable speed increase for users in the coverage area. 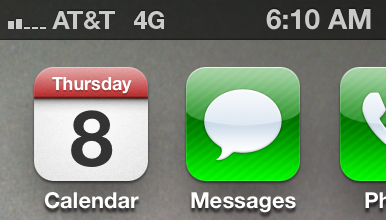 If the next iPhone does feature LTE support, expect a demonstration of the speediness of the new technology. Though it would certainly make things easy on consumers (and retailers), a “world” LTE iPhone is probably not in the cards, thanks to the many frequency bands of 4G/LTE service that carriers are using throughout the globe. The best model to look to currently is the iPhone’s sibling, the third-generation iPad. In North America, you can buy one of two models: an AT&T model, which uses LTE service in areas that support it and falls back to DC-HSDPA/HSPA+ elsewhere; and a Verizon model, which falls back to that carrier's 3G CDMA network while in the United States. Both models support worldwide GSM bands, so you can roam the globe on 3G networks—just not LTE. A new iPhone could follow suit with multiple models: LTE that falls back to DC-HSDPA/HSPA+ (AT&T), and LTE that falls back to CDMA (Verizon, Sprint). There’s a slim possibility that Apple may figure out a way to fit all the radio components into one iPhone model, but we wouldn’t bet on it. It’s unclear what this means for LTE service in other countries, however. If Apple wants to support the faster cellular network abroad, it may have to resort to making international models that support frequencies not used in the U.S. Bigger display: A new, larger display has also been pegged as one way that the next iPhone might differ from its predecessor. Reports have suggested that such a screen might keep the same width as the current incarnation, but instead add additional real estate in the height department. Such a move would offer a friendlier way to view widescreen content in landscape, as well as simply offering more information at a glance in portrait orientation. To date, the iPhone’s screen size hasn’t changed from the 3.5-inch size its sported since 2007, although Apple has added more resolution with the Retina display that on both the iPhone 4 and 4S. Other smartphone makers have added larger screens to their phones, though generally in such a fashion that you’d be excused for thinking that they were instead small tablets. A new dock connector: There have also been whispers of a new, smaller dock connector to replace the 30-pin connector that presently occupies the bottom of the iPhone 4S. The current dock-connector port can perhaps most politely be described as “venerable,” as it’s adorned Apple’s portable devices since the third-generation iPod was released in 2003. As such, it has support for some outdated technologies no longer used by any of Apple’s devices (FireWire, for example). Revising the dock-connector port would allow Apple to reclaim some much-needed and increasingly valuable space inside the iPhone’s case. If there is, in fact, a new dock connector on the horizon, we hope Apple decides to provide a free (or very cheap) adapter for accessories that use the old connector. Otherwise, come September 12 there may be a whole lot of happy accessory-makers—and grumpy consumers. What we don’t expect, however, is a non-proprietary dock connector, such as a mini- or micro-USB port. For one thing, those technologies don’t offer the breadth of capabilities that the dock-connector does. From a financial perspective, Apple licenses hardware access to iOS and iPod devices, and the means for doing so is the dock connector. As long as it remains proprietary, Apple can continue to rake in those licensing fees, even for something as seemingly innocuous as a third-party charger. That said, the company has also moved increasingly to wireless forms of connectivity where possible, with improvements like AirPlay and streaming Bluetooth audio. A new camera: Pretty much every iteration of the iPhone has offered an improved camera over its predecessor, so it’d be silly not to expect at least some changes in the next model. While much of the attention in the past has been focused on the back-facing camera—which no doubt will see some changes, possibly including a megapixel increase—we wonder if it’s not time for Apple to improve its front-facing FaceTime camera. Most Macs now offer an FaceTime HD camera for video-conferencing, and with FaceTime over cellular data coming to iOS 6, it’s possible that the company will want to tout even higher-quality video chatting for users on Wi-Fi and LTE networks. Bigger (and better) battery life: Though it’s far from certain, we hope “better battery life” makes the iPhone’s feature list. Device batteries have been getting bigger and more powerful, but it’s mainly been to keep up with the increasing demands from high-power processors, larger and higher-quality displays, and fancy features. We use our iPhone for many things throughout the day; it’d be nice if the next iPhone could beat its predecessor on usage time, rather than simply shoot for par. A tougher skin: One other thing we’d like to see Apple beef up is the iPhone’s resilience. We all know someone who’s shattered the front or back glass plates of the iPhone 4 and 4S, despite their touted sturdiness and scratch-proof nature. Some online rumors have suggested that the new iPhone’s rear casing will trade in the glass of its predecessor for some form of metal, similar to the original iPhone. While that may not exactly help fend off scratches, it does make at least one of the phone’s sides less likely to completely shatter upon contact. But any additional measures that could be taken to avoid accidents that result in broken screens would certainly be welcome. New headphones: The iPhone has shipped with the same set of headphones since its 2007 debut—and that’s unfortunate for the iPhone. Save for a built-in microphone, these are the same white earbuds that ship with Apple’s iPods and that have created a thriving market for third-party headphones. The iPhone’s earbuds are not particularly comfortable to wear, they’re as likely to pop out of of your ears as they are to stay in place, and they’re not terribly durable. No wonder then that our hearts skipped a beat upon seeing a video of Apple’s purported headphone redesign. The video, which originated in Vietnam, claims to show off headphones with a smaller profile and a single integrated part that won’t fall to pieces. We want to believe. Wireless payments: There’s been much talk about whether or not the next iPhone might include Near Field Communications (NFC), a short-range wireless protocol that’s often used for processing payments. Some Android phones have begun to offer this capability in conjunction with Google’s Wallet payment system to allow you to pay for goods at supporting retailers by just swiping your phone over a reader. (It’s also a practice that’s not uncommon overseas in Europe and Japan.) Apple’s announcement of the Passbook app in iOS 6 might seem to lend credence to this theory, but it still seems unlikely that the company will build NFC features into the new iPhone when deployment on the retail side is still limited. Apple has shown in the past that it’s more than happy to wait for technologies to become more widely used (3G, LTE) before adopting. And, as mentioned above, keep in mind that space inside the iPhone is at a premium, and the addition of NFC would likely require not only a new chip, but also yet another antenna. Second only to iPhone rumors have been whispers that the company may bring out a new model of iPad with a 7.85-inch screen. Dubbed the “iPad mini,” the device would likely feature a non-Retina display with the same resolution as the iPad 2, and would allow Apple for the first time to stake a claim in a market segment to date occupied mostly by Android tablets and the Kindle Fire. Such a device would probably be priced between the iPod touch and the 10-inch iPad. That said, we doubt a smaller iPad will make an appearance at this event. It seems unlikely that Apple will want to diminish the introduction of a new iPhone—its flagship product line these days—by introducing an entirely new product. Some rumors have suggested that a second event featuring the new iPad announcement could come next month, so we may end up revisiting this question at that point. And what about the iPhone’s kissin’ cousin, the iPod touch? A new iPod touch is probably in the cards—particularly given that Apple didn’t release a radically new one last year. But there are a few factors that get in the way of such an announcement, and none are technical. First, like the purported iPad mini, it’s unlikely that Apple wants to dilute the announcement of its next iPhone. 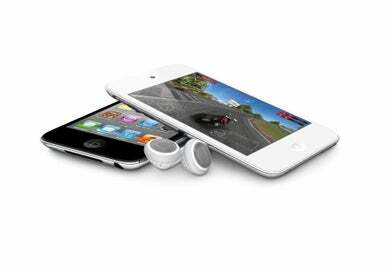 While many may think of the iPod touch as an iPhone without the phone, that’s not an angle that Apple has pushed—in the company’s eyes, the iPod touch is a gaming and media consumption device. Linking the two in next week’s announcement does the iPhone no good. And once you mention the iPod touch, there’s the expectation that you’ll additionally discuss the entire iPod line. Will the traditional iPod (shuffle, nano, and classic) survive or will the touch become The iPod and the others quietly disappear? From Apple’s perspective, this is even more message-muddying. The company will undoubtedly address the iPod line, but our money’s on doing it at another time—perhaps later in the fall, along with a new iPad model? We heard quite a bit about iOS 6 at Apple’s Worldwide Developers Conference; given its “fall” release date, it’s likely we’ll see a rehash of announced features—and maybe a few new surprises. iPhone-exclusive features: The next iPhone will be Apple’s latest and greatest bit of hardware—as such, it’s no surprise the company might be saving a little something for its September 12 debut. 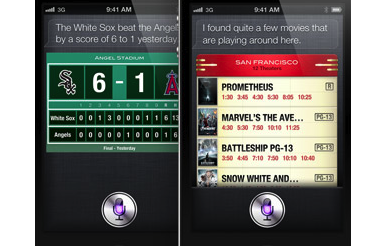 The iPhone 4S had Siri; the new iPhone may not have anything quite so huge, though we’ve heard mention of AirPlay Direct, a rumored feature that would allow you to send audio and video to an AirPlay device without an intermediating wireless network. 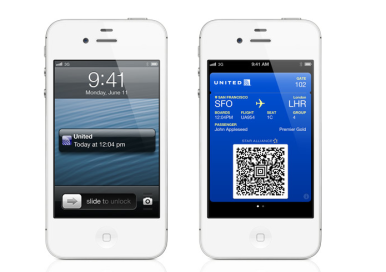 Passbook details: Apple unveiled its new Passbook app at WWDC in June, but the limited time Apple spent discussing it left us with more questions than answers. The program is designed as a centralized location for all your reward and stored value cards, along with digital versions of concert and sports tickets; tap on a card and you’ll see a barcode for the retailer to scan. 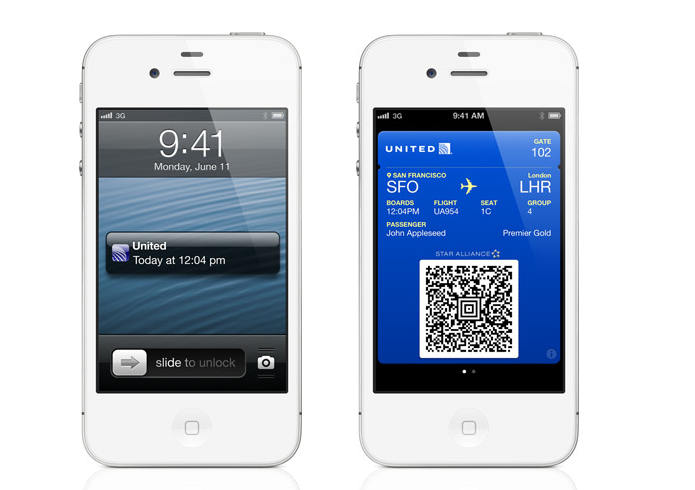 The Passbook section of Apple’s iOS 6 page suggests that among the company’s partners are Target, Fandango, Starbucks, Amtrak, United, the San Francisco Giants, and the W Hotel; it’s hard to imagine the company would use those as examples if it didn’t already have some partnerships in place. Apple could definitely take some time at the September event to explain Passbook further and unveil a few powerful new partners to make the app shift from confusing to a compelling offering. 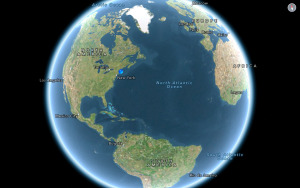 Maps improvements: We’ve already seen Apple demo Maps’s spiffy new 2D and 3D offerings, as well as long-awaited turn-by-turn directions. But could there be more that Apple has yet to show off? The mapping app removed user-favorite options like Street View and Transit directions in iOS 6, as Apple no longer uses Google’s Street View and transit databases; there’s been no mention of a different partner for street-level view, but Apple may add more 3D city renderings to its mapping database to compensate. We may also hear more about Apple’s plan for dealing with transit directions, and the third-party routing apps who are partnering with the company.